Dale Shepherd has finished second in this year’s annual Lindholme Lakes five-day festival. 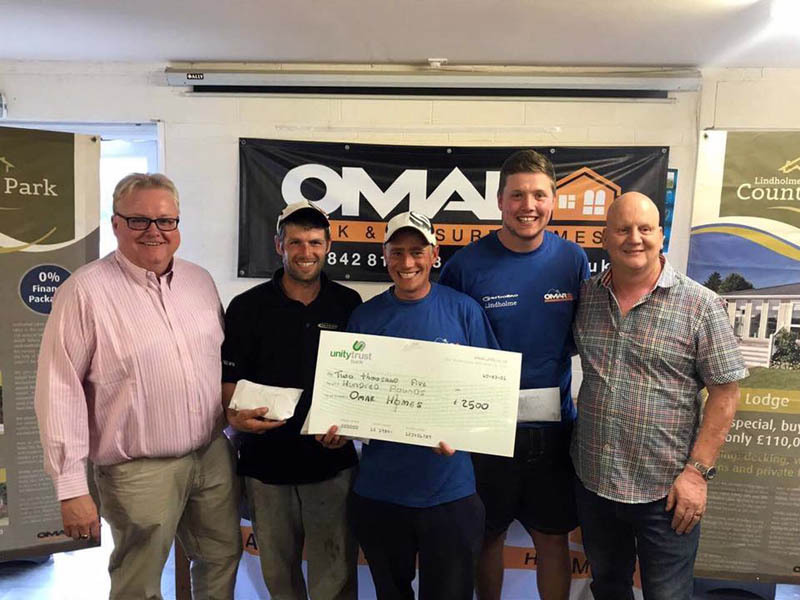 The event, which this year was sponsored by Omar Homes, saw seventy three (73) anglers go head to head across all of the complex in an effort to be crowned Champion and walk away with the £2,500 winner’s purse. The festival continues to grow attracting anglers from all over the country and further afield, with a number of anglers from Holland also taking part. Conditions over the five days were a mixed bag with heavy rain on Wednesday, Thursday and Friday. That sais, the standard of fishing was exceptional with the top three anglers recording over 2,500lbs of fish over the course of the event, with Dale Shepherd contributing a healthy 850lb plus towards the total. “The opening day of the festival saw me on Beeches peg 7. My ten-man section started from me and finished at peg 16. I didn’t really fancy it with the wind blowing off my back to be honest”. “I started on the bomb and had a couple then went short and found a couple more. I then went long, but didn’t have a bite pinging on the long pole, so reverted back to fishing the bomb for the remainder of the match whilst proiming my edgle line with XP green and corn. Upon looking down my edge, the fish were there ready and waiting for me! I ended up catching well down the edge for the last hour to end the match with 142lb, which was enough to win the section and the lake“. “Day two saw me draw peg 43 on Willows, which I was happy with. I decided to start short on pellets, but it was very slow going with just five F1s during the opening hour of the match. I picked my dobbing rig up and had a look around to see if I could find any fish moving about in the upper layers and had one carp, but it was a decent fish of around 15lbs. I then decided to go shallow with casters and caught well ending up with eight carp and a lot of F1s for 148lb, which landed me another section win and another lake win“. “Given my draw at the midway stafe of the competition, the plan of attack on day three was to fish casters shallow on the corner of the island and start on pellets in the mud hole. I had a few, but it was a bit too deep so foul hookeing fish proved a bit of a nightmare. I decided to go shallow with casters and it was solid with skimmers, ide, roach and the odd F1″. “After the first two hours, I asked Lee Wright if he was catching and he said was bagging so a change of plan was needed to stay in the race. I went on the method feeder for half an hour whilst continuing to feed casters in the mud hole and decided to forget the the corner swim. I had 20lb on the method before switching to the mudhole line, by which time, the fish had move in over the casters. I’ve caught steady until the last hour, then it was solid. I ended the day with 201lb for second in my section and second on the lake. Well done to Lee who went on to win the lake and the section with 205lb. Despite finishing second, I felt I’d done enough for maximum points, but had a 3lb fish jump out the net, which ultimately ending up costing me on the day“. “I drew peg 35 on Loco for day four of the competition and fancied it for a few shallow with casters. I started short on pellets and had a single F1 and a skimmer in the first forty minutes. Dave Shires was catching shallow, so I decided to follow suit and went shallow but I could not match Dave’s catch rate with him landing two or sometimes three to my one. I decided to change to the bomb and go all out for the resident carp. I had eight carp, but they were quite small for Loco giving me a final weight of 128lbs. This was enough for third in my section“. “The final day of the competition saw me on peg 7 on Benny’s lake. Again, given my draw, the plan was to fish pellets shallow for the duration of the match. The first hour was steady, but a slight tweak to how I was presenting the bait soon really put me amongst the fish. I had a really good run for the following two hours, at which point, the bites dropped off a little but I couldn’t complain. I managed to find a few fish late on short feeding 6mm pellets to add around another 48lb to my weight. I ended the day with 231lb for a section win”. “Overall, I recorded three wins and a second, dropping the three point score from the Thursday. This was enough to secure second place overall in the festival, which I was more than happy with. Well done to Paul Holland on the win“.